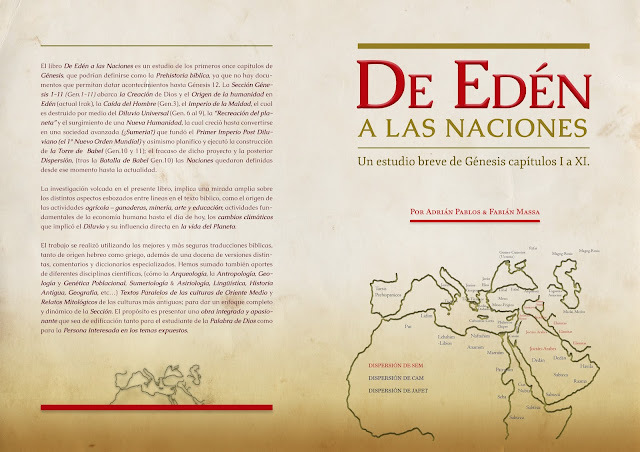 Dear friends, I present my book "DE EDEN TO THE NATIONS", which is currently available only in Spanish. But it is in the plans to do a professional translation into English. Un estudio breve de Génesis capítulos I al XI. 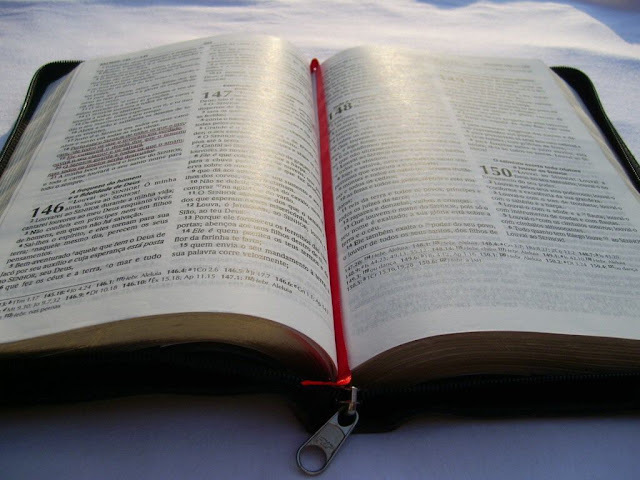 EDEN TO THE NATIONS A brief study of Genesis chapters I to XI. Authors: Fabián Darío Massa; Adrián Pablos. 1. Christian Religion. 2. Genesis I - XI. 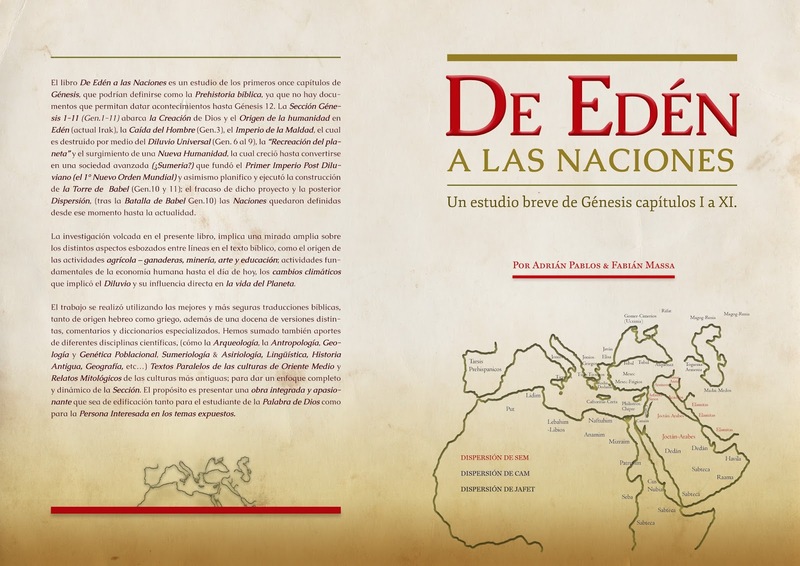 DE EDÉN A LAS NACIONES (FROM EDEN TO THE NATIONS) is a study of the first eleven chapters of Genesis, which could be defined as the Biblical Prehistory, since there are no documents to date events until Genesis 12. Section Gen 1-11 has the peculiarity of being presented very simply, as an apparently easy, simple, almost innocent story; But as each subject is deepened, the tremendous complexities between lines are beginning to emerge. This characteristic produces something truly wonderful, trapping its reading and study equally to the child, the scholar and the whole range between the two extremes. 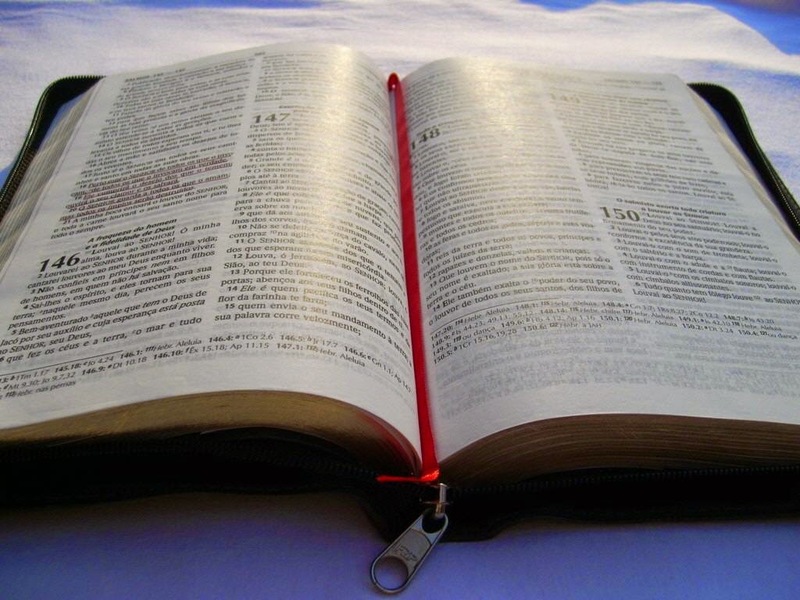 The Section Genesis 1-11 (Gen.1: 11) covers the Creation of God and the Origin of humanity in Eden (present-day Iraq), the Fall of Man (Gen.3), the Empire of Evil, which is Destroyed by the Universal Flood (Gen. 6 to 9), "Recreation of the planet" and the emergence of a New Humanity, which grew into an advanced society (Sumeria?) That founded the First Post Diluvian Empire ( The 1st New World Order) and also planned and executed the construction of the Tower of Babel (Gen.10 and 11); The failure of this project and the subsequent Dispersion (after the Battle of Babel Gen.10) that defined the Nations from that moment until the present time.